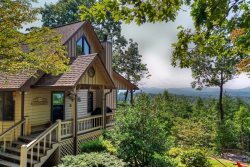 My Mountain Cabin Rentlas offers a variety of guest services to compliment your vacation in Blue Ridge & the North Georgia Mountains creating an experience you won't forget. Please contact our Reservation Desk at [email protected] or call 800-844-4939 to discuss your requests before you arrive. We can help you plan your North Georgia Mountain vacation getaway and enhance your escape to the Blue Ridge mountains! If you don't see an item or service that you are looking for, just call us at 800-844-4939 or email [email protected] , we can definitely help you.